P&G is driven to make life better—not just within the company, but out in the wider world. 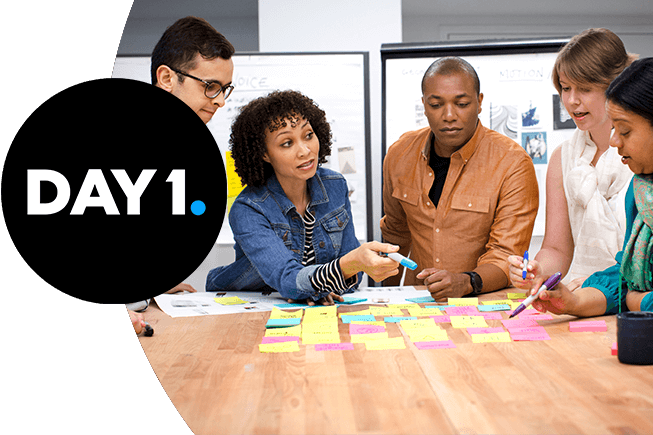 From Day 1, we’ve been committed to doing the best by each other—our employees, our consumers, and all people of the world. And you will be, too. P&G wants to be a model, global corporate citizen. 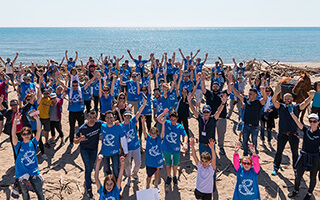 We are known as a company that is governed responsibly and behaves ethically, that is transparent in its business dealings, that supports good causes and protects the environment, and that provides an appealing place to work where our employees are treated well and are given the opportunity to be all they can be. And so citizenship became a founding idea of P&G. 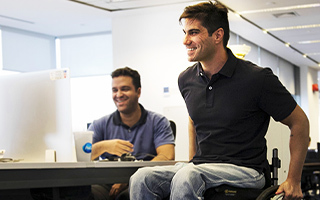 It runs through everything we do, from the way we package our products to the support we offer our teams to the initiatives we lead around the world. 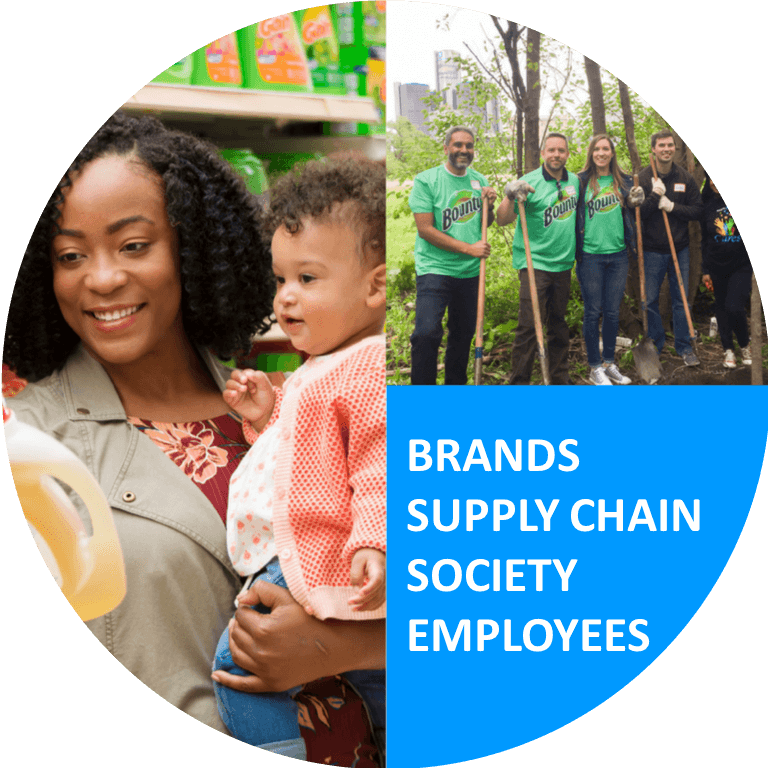 P&G is committed to being a good corporate citizen and doing the right thing—with our employees, our consumers and our supply chain. This sense of responsibility influences everything we do. It means we do what we say, say what we do and strive to never betray the reputation of trust and integrity that we have built over time. Purpose: Our brands play a unique role in the world. Values:	Doing the right thing is the only thing. Principles: Universal respect drives every core belief. We are focused on improving the communities we serve. This means our employee community, as well as those in the towns, cities and countries we touch. Through our brands, products and people, we can play a unique role in improving the health and well-being of the global community that we are all a part of. We have a number of community impact programs in place all over the world, and our flagship water program is just one of them. We use our innovative cleaning technology and apply it to the most basic of needs—clean drinking water. During the program’s 13 years, we have worked in more than 85 countries with more than 150 partners to distribute P&G Purifier of Water packets during emergencies, and to the people who lack clean water every day. Over the years, CSDW has saved thousands of lives. P&G has partnered with Neonatal Intensive Care Unit (NICU) nurses to design and introduce a diaper that is three sizes smaller than newborn diapers to fit the tiniest premature babies who weigh as little as one pound. 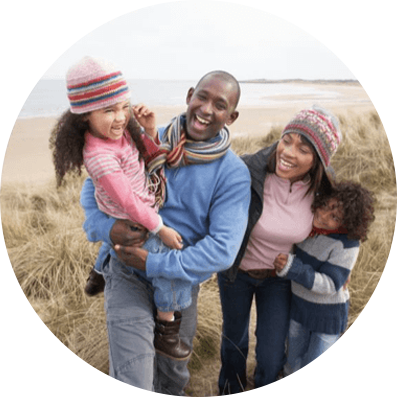 We aspire to be as diverse as the people who use our products, because the more we reflect our consumers, the better equipped we are to understand and serve them. We strive each day for every P&Ger to be valued, included, and able to perform at their peak. We win when everyone brings their unique self to work, when we bring out the best in each other, and when every talent is used and every voice is heard. Our annual Diversity & Inclusion Week celebrates the unique individuals that we all are and encourages us to come together. The events and activities that take place during this week are a source of inspiration and learning. With 2.6 million members, My Black Is Beautiful is the largest online community of black women. While challenging society’s standards of beauty, MBIB celebrates the diverse and collective beauty of black women, and encourages black women everywhere to act as catalysts in their communities to redefine these standards. 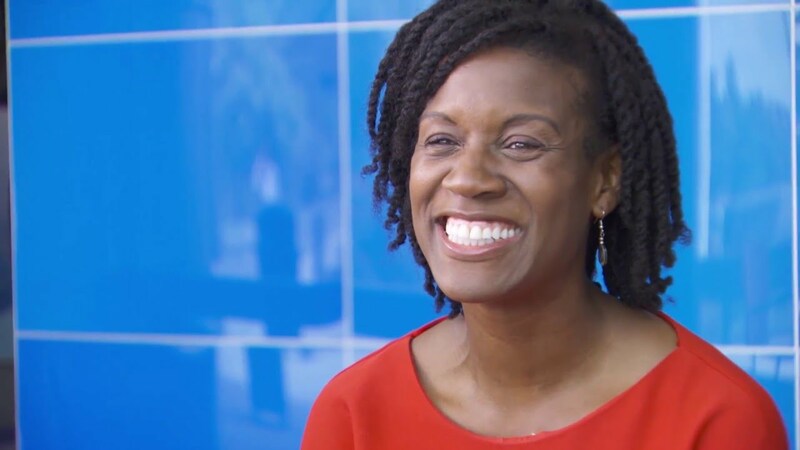 The same way we strive to create products for everyone, at P&G we want our workplace to be just as inclusive. That's why we take pride in our commitment to make sure every employee can do their best work with us from Day 1. Because with our support, we know that everyone has the ability to share bold ideas and to impact our world-class brands for the better. 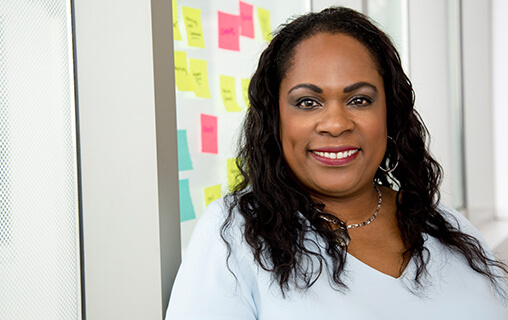 From resource groups to specific aids, we make sure our employees with disabilities have everything they need to feel welcomed, be understood and make an impact. Experience firsthand their stories, the work we do together, and how we strive to make our offices - and the world - more inclusive. We aspire to build a better world for all of us, free from gender bias, and with an equal voice and equal representation for women and men. 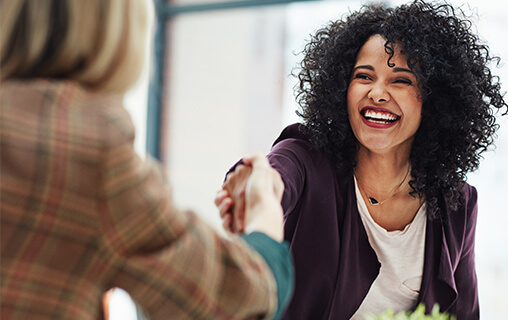 When women have the opportunity for full representation, businesses perform better, economies prosper, communities are healthier and the world is a better place—for everyone. At P&G, we take a stand for what we believe is right, and we strive to make the world a better place for everyone. We know that actions have influence that stretch beyond today, they have the power to shape tomorrow. It’s only by challenging ourselves to do more that we can get closer to our best. Environmental Sustainability is not a new concept for P&G. We incorporate it into our way of doing business, as we have for decades. We see it as our responsibility, as well as a business opportunity, and want to ensure no one has to choose between the products they use and enjoy today, and what they hope to preserve for tomorrow. 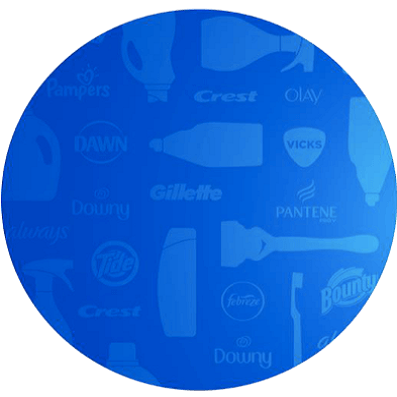 Just recently, P&G launched its new environmental goals for 2030 called Ambition 2030. As we have achieved many of our 2020 goals, we knew it was time to raise the bar. Our new goals enable and inspire positive impact while creating value for the Company and consumers. 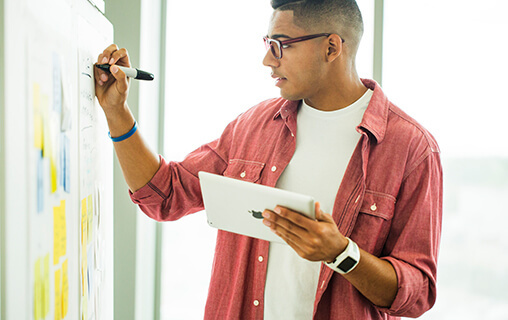 Use the power of innovation and our brands to delight consumers and drive positive impact. Reduce our footprint and strive for circular solutions. Create transformative partnerships that enable people, the planet and our business to thrive. 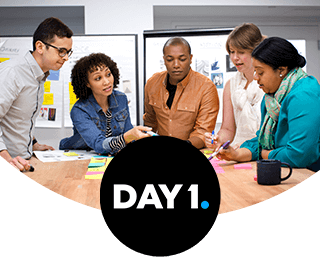 Engage and equip P&G employees to build sustainability thinking and practices into their work and their communities. 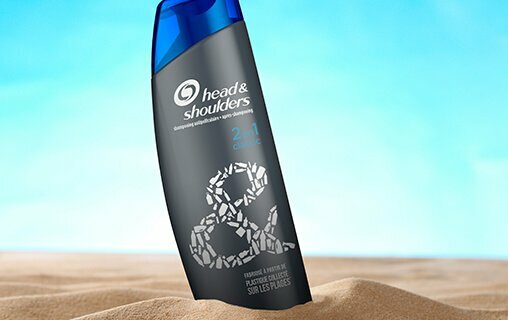 Head & Shoulders, the world’s #1 shampoo brand, partnered with TerraCycle and SUEZ to pioneer the world’s first recyclable shampoo bottle made with beach plastic. The bottle launched in France in summer 2017 - by the end of 2018, more than half a billion bottles will contain recycled beach plastic. 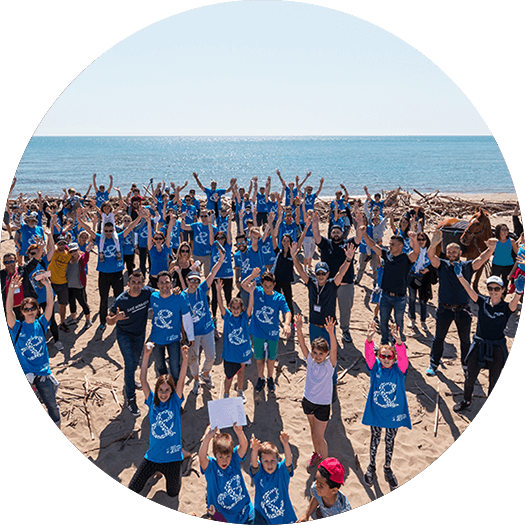 With the help of thousands of volunteers and hundreds of NGOs collecting plastic waste found on beaches, we will remove 2,600 tons of recycled plastic from the world’s beaches every year. P&G is committed to the promise that all our manufacturing sites will send ZERO manufacturing waste to landfill by 2020. This requires working with local partners on circular approaches, and finding a beneficial use for more than 640,000 metric tons of waste (the weight of nearly 350,000 mid-size cars). Currently, more than 85% of our sites have achieved this status by eliminating or finding alternative uses for waste. This includes all of our manufacturing sites in two of our largest markets, China and India, for a total of 23 countries. In addition, our Always and Tampax Feminine Care business unit was the first business to reach zero manufacturing waste to landfill across all their manufacturing sites. These efforts, combined with company-wide sustainability initiatives, saved more than $1.9 billion since the program began in 2007. 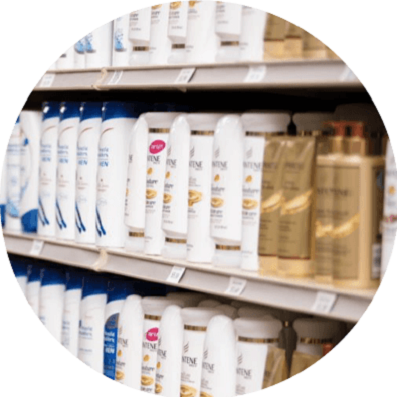 P&G started using recycled plastic in our packaging in the late 1980s, but our use of recycled polypropylene (PP) was limited by the lack of available high-quality materials. One of our scientists invented a technology to remove the color, odor and contaminants from recycled PP. This technology purifies recycled PP back to a virgin-like form, and can open up billions of pounds of plastic material to meet an unmet demand for like-new recycled plastic — something that was not possible before. P&G licensed the technology to PureCycle Technologies (PCT), a portfolio company of Innventure, a Wasson Enterprise Partnership that commercializes disruptive technologies. PCT hosted a ribbon-cutting for a new plant in Hanging Rock, Ohio, that will produce recycled PP plastic with “virgin-like” quality. While this is a P&G-developed technology, the recycled PP produced will be widely available for purchase across the entire plastics industry.